Getting a good night’s sleep is vital for overall health and well-being. Sleep is needed for your body and mind to rest and function properly. 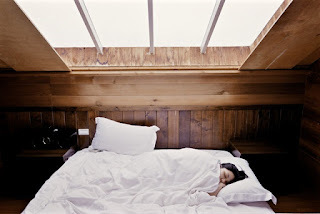 While the hours of sleep needed will vary depending on your age, it’s no surprise that the average hours of sleep individuals get each night, is much lower than previous years. You’ve probably heard this from a friend, family member, or colleague, “I just need to catch up on my sleep”. Or maybe this is something you’re saying to yourself. Increasing sleep deprivation in society is growing every year. According to Dr. Carol Hunt, from the National Center for Sleep Disorders Research, living in the 24/7 society gives us opportunities to do other things than sleep such as emails, 24 hour cable, longer working shifts and 24 hour shopping. For the body to function to its best ability, sleep is needed every day. During sleep, your body regenerates cells and your muscles relax. In addition, you will rest your mind and when you awaken, you will feel rejuvenated and rested. Getting plenty of exercise during the day will help you feel more tired when it’s time for bed. Whether it’s a nice long walk, an hour at the gym, or a late afternoon jog, adding the extra exercise will help wear you out; by the time your head hits the pillow, your body will be glad to rest and you should be asleep in no time. If you’re not sleeping in a comfortable bed, you will be bound to toss and turn all night. Besides having a comfortable pillow, you can begin using bamboo sheets. Not only are they extremely soft and comfortable, the best bamboo sheets will also keep you cool and dry during the night. One important factor for those needing sleep is taking a look at your diet. According to the National Sleep Foundation, to improve your sleep, you should pay attention to your intake of caffeine and sugar. Reducing your intake can make sure you’re not kept awake during the crucial hours of much needed sleep. Nick is an Engineer with a passion for sleep. His website Sleepy Deep is dedicated to providing the best sleep information. We spend about one third of our lives asleep, yet it is largely under valued as a source of rejuvenation, health and wellbeing. Reach your daily potential by optimizing your sleep.